I've been wanting to try this mask for awhile and finally got my hands on one. 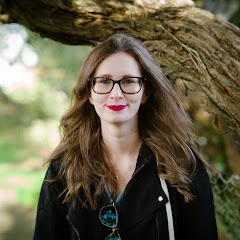 If you are not familiar with Lush products they also have a range of fresh face masks that you can only buy in store and not online they are made completely from fresh ingredients and only last about 3 weeks. However Mask of Magnaminty is in it for the long haul and you can keep this little guy for 3 months! 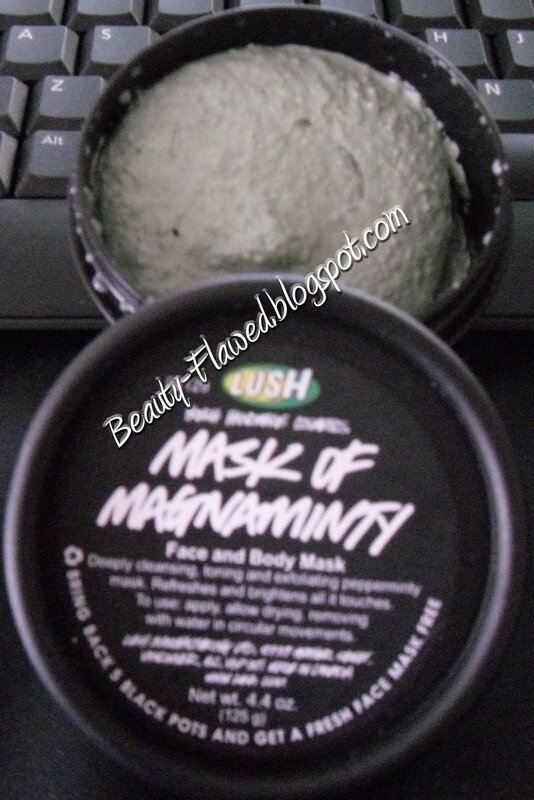 That was part of the appeal of this mask for me I wanted something that would have a longer shelf life since I can't run up to Lush every 3 weeks otherwise I would probably go broke! I tried this out last night and I am very impressed with it. 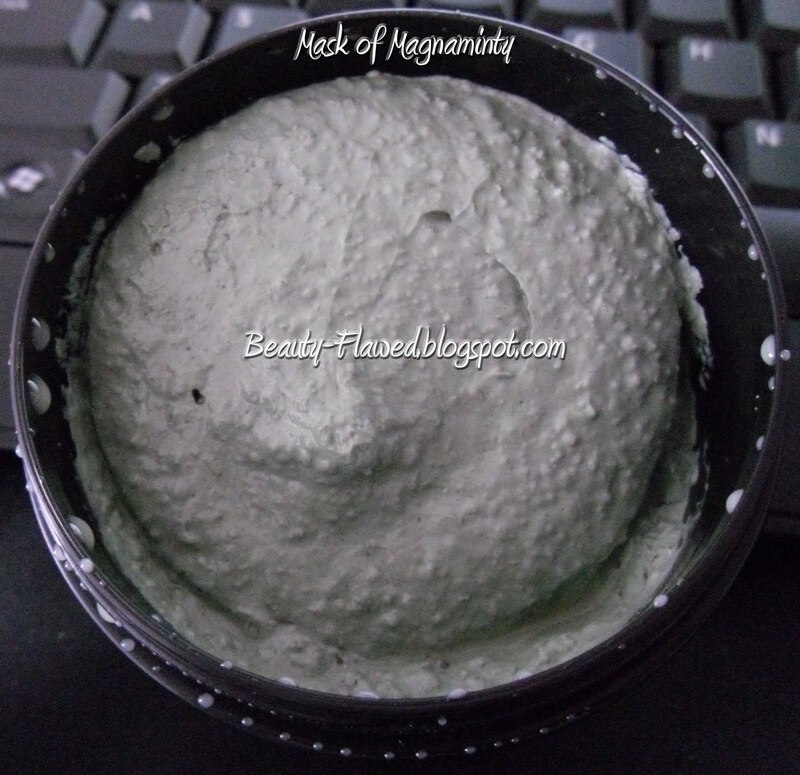 Mask of Magnaminty contains : Peppermint Oil, Benotine Gel, Kaolin, Honey (Mel), Talc, Ground Aduki Beans, Glycerine, Evening Primrose Seeds, African Merigold Oil, Vanilla Absolute, Limonone, Chlorophyll, Methylparaben, and Perfume. I would recommend this product to anyone and everyone its does what it supposed to do and leaves your skin super soft and detoxed.